Are you a current home owner who is considering listing your property on the market in 2015? If so, then you’re likely to enjoy a lot of success! After all, Realtor.com recently released its top predictions for the housing market in the New Year. And all of them seem to favor home sellers. Millennials will enter the market en masse. This is something the housing market has needed for the last couple of years: More Millennials entering the market as first time home buyers. And according to projections, that’s what you can expect in the New Year, with more than two thirds of household formation being credited to this demographic. Helping matters is the fact that about 2.5 million jobs are expected to be added next year, improving home buying power. There will be an increase in existing home sales. These sales are expected to increase 8 percent during the New Year. Meanwhile, as more people gain employment and increased incomes, distressed property inventory is expected to decline. All of this means a lower real estate inventory. This coupled with a surplus of buyers will create a seller’s market. Home prices will rise. This generally follows when housing inventory shrinks. In fact, prices are expected to increase by an average of at least 4.5 percent in the coming year. Thus, if you’re thinking about possibly selling your home, 2015 is likely going to be a good year for doing so. Mortgage rates will increase as well. For much of 2014, these rates have hovered around 4 percent and under. But with the previously mentioned factors and the Federal Reserve’s expected rate hike in the early part of 2015, residents can expect home loans to shoot up to 5 percent in 2015. If you have been thinking about re-financing, it makes sense to do it sooner rather than later since mortgage rates are likely to increase. Home affordability will decline. With all of these changes on the market expected, home affordability is projected to decrease by 5 to 10 percent. This will be driven by price appreciation, mortgage rate hikes and tighter housing inventory. Again, if you’re thinking about possibly selling your home, 2015 is likely to be a good year for home sales. 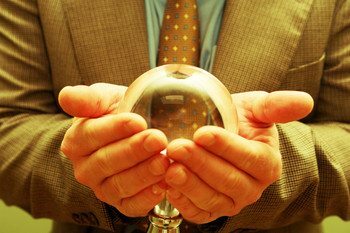 We hope that as a home seller, you’ve found the above predictions encouraging. We’ll be back in the New Year to discuss whether these real estate predictions come true and to revisit how they will impact buyers and sellers. For now, we hope you and your family have a happy holiday season!